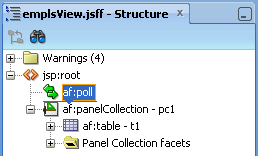 If you are looking for simple but effective solution to refresh data in ADF, you might be interested to check ADF Poll component. 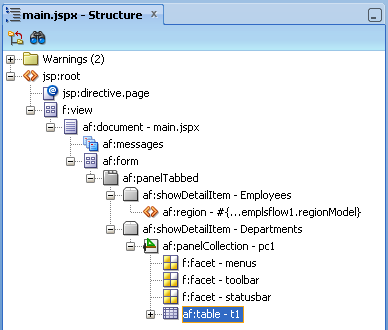 This component integrates well with ADF fragments - reload event is isolated in the scope of fragment and not distributed to entire page, means whole page will not be refreshed, but only fragment. I will demo this below with example. 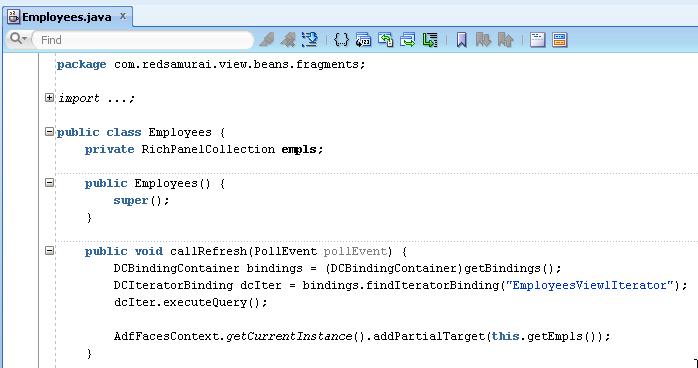 Sample application with ADF Poll component configured to refresh Employees table only - ADFPollFragmentApp.zip. 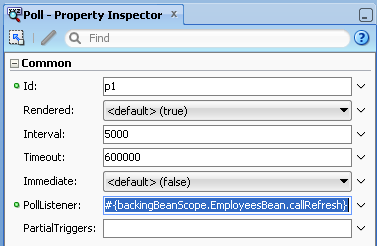 I was in a call with Oracle support and they mentioned that this should not be used for performance reasons. Your approach looks sound, so looking for your opinion on serious performance implications as commented by Oracle support. I dont see any performance issues (unless there are some hidden ones, known to Oracle support), and by the way this is how Oracle Enterprise Manager works to refresh data as well. Of course this component should be used smartly - only for such fragments, where user is supposed to see data change after status changes in DB, etc. You should not use just everywhere across application. the page is getting refresh but attribute value remains the same. 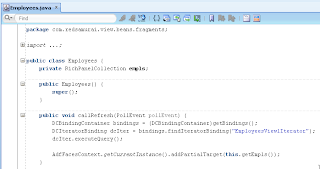 Can you please give me the hint to work this for mysql.